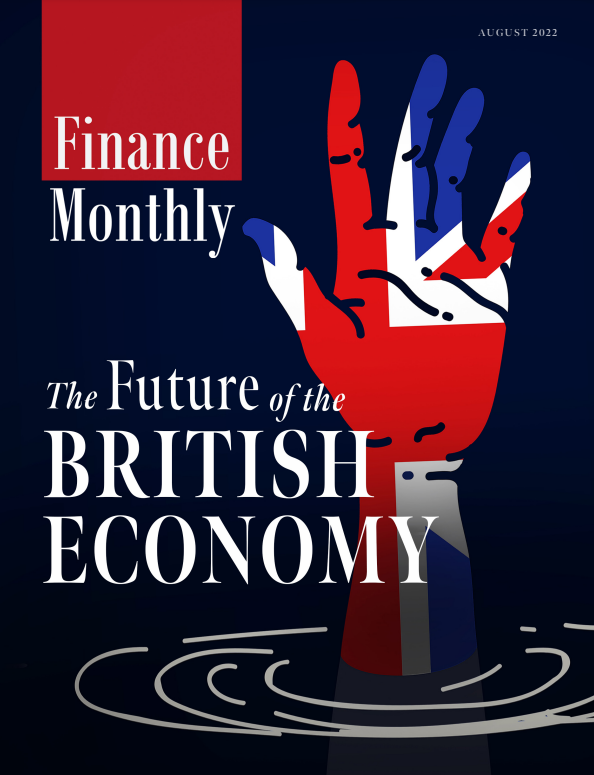 Below David talks Finance Monthly through the complexities of project development, from financial matters to risk management. Typically, within every major capital project or large asset acquisition, there are three principle risks; financing, commercial/market, and operational. The project/asset financier takes the financing risk and is remunerated accordingly; likewise, the project sponsor/asset purchaser takes the commercial risk of there being a market for the output of the investment. However, what has caused issues and in many cases transactions to flounder, has been the debate on who should take the operational risk of any new project or asset acquisition. Allied Holdings and Investments Ltd have been working on this issue for the past 10 years and have solved it, with their due-diligence process which provides a funded solution- they call it Maintained Availability. The challenge for a project developer is in providing additional financial support, when their technology has limited or no track record. In most cases, if not all, this has not been possible and has led the project to fail to proceed. With over 1,800 investment funds, worldwide, there is no shortage of investment only a shortage of bankable projects; but what makes a bankable project? The bottom line is providing an investor with a robust mechanism that protects the projects’ ability to repay its debt and operational costs if the projects revenues fall below the projects breakeven point. Above this line, known downtime caused by scheduled maintenance can be built into the projects cashflows but what would happen if something unexpected caused by a non- physical damage event caused the revenues to fall below breakeven? Allied Holdings and Investments Limited (“Allied”) in conjunction with Fidelis Underwriting Limited have developed a mechanism of due-diligence that is designed to assist in the financing of renewable technologies and is structured to provide extra financial support to a project where the technology does not have a relevant track record, and/or the project company does not have sufficient financial strength to provide security for finance. The use of M.A allows funders to move further along the project risk curve, thereby increasing equity returns through increased dividends or enhanced asset values at exit. Guaranteeing the consequences of the unexpected. Understanding the process of availability in a business model is critical when it comes to assessing risk. Process availability is identified by known maintenance regimes and plant closures and this availability is used to calculate the projects minimum level of revenues that can repay the debt and cover operational expenses – Breakeven. These events can be calculated where the technology has a proven track record, enforced by other risk mitigation procedures, but what if the technology is unproven with limited or no track record, and how can these technologies compete and bring their benefits to market? The Solution is Allied’s Maintained Availability. Maintained Availability provides an opportunity for a third party to ‘guarantee’ this operational risk. Allied undertakes a high-level review of the project to confirm acceptability. Allied engages its technical advisor TWI to undertake the process due diligence. TWI produces a due diligence report and determines availability limits for the process over time. If the limits are deemed acceptable the report is passed to our broker who then negotiates the specific cover with Fidelis. Fidelis provides the process availability cover at a level of 25% of total debt requirement. The guarantee is based on 25% of the debt requirement capped at $50M per project. So, a $100M project with a debt / equity leverage of 60/40 would have a maximum cover of $15M. The cover is in place at financial close but does not become ‘live’ until full commercial handover. The EPC contractor will have to provide the minimum availability that is proposed by TWI availability, or better. TWI will ensure that the commissioning process is rigorous and that any problems diagnosed are rectified prior to final hand-over. The commissioning process will include a requirement for the plant to run for an agreed period at or above the minimum limit, set by TWI, before it is formally signed off and hand-over is agreed. TWI, as part of the due process, will have provided an operations and maintenance schedule which will be monitored by their own bespoke software “RISKWISE”, which will be used for ongoing monitoring of the project. If there is an unexpected event which reduces process availability below the breakeven level, M.A will provide sufficient funds to ensure annual debt service and operating cost obligations are met for a period of up to 10 years. Maintained Availability does not become effective until the plant is handed over and thereby already achieving the agreed minimum limit or better. Replace other usual project insurances. Continue to pay once the facility limit is reached. Ability to fund a greater number of projects. Increased involvement in new technologies with potential to become a ‘go to’ funder. What makes M.A different from other products on the market? Other products are annually renewable, which can put the project at risk at the end of each year. A renewable policy can be changed, have a premium increase or even be cancelled. This type of policy is a concern for investors because of its lack of certainty. M.A is a contract that provides an agreed sum of money in support of the projects’ net revenues for a period of ten years that can only be cancelled by the project owners with agreement of the investors. The money acts as a form of credit enhancement that can be drawn upon when the revenues are unable to fully support the debt. It is then repaid when the projects’ revenues recover. Historically, it has been shown, that if the process is to under-perform it will be in the early years of the project with full availability potential being attained by Year 5. M.A is there to protect the investors should this happen. When first approached by a potential client, Allied will undertake a vigorous desktop review of the project. Should the project be accepted, and after consultation with the client, Allied will commence two detailed due-diligence reports with their independent consultant partners. Should the client have already engaged the services of a consultant, then that consultant can be used. However, for purposes of underwriting the technology process, Allied’s independent technology consultant TWI must be engaged, and the two reports must be made available to Allied if they are subsequently engaged to source funding. Secondly, an additional and complimentary process security to that already installed by the technology provider, is provided through TWI’s integrated RiskWISE® interrogation software that provides additional risk based protection to the funders, and ensures that the process is optimised at all times. Whilst each M.A contract of insurance is project-specific, Allied believes that their due-diligence process is also important for technology suppliers and innovators to consider as a standalone pre-qualification towards commercialisation. Technology manufacturers will benefit from having an M.A approval and being able offer their buyers a technology that has the M.A stamp of acceptance. This would provide the project developers with all the added financial benefits described. 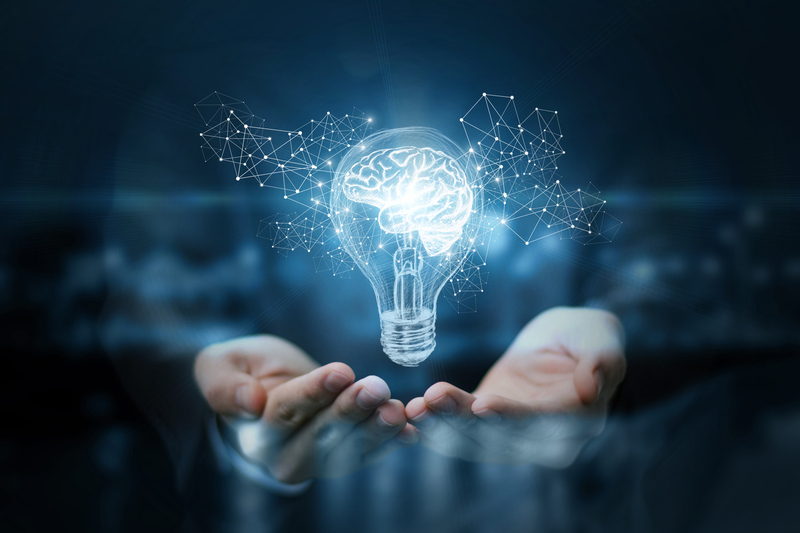 For companies developing innovative technologies having M.A due-diligence involved from the design stage can help evolve the technology from design to becoming fully commercialised with the benefits of M.A support. TWI Ltd, are one of the world’s foremost independent research and technology organisations. Based at Great Abington near Cambridge since 1946. TWI is a non-profit distributing, membership-based company of which Allied are industrial members. Its Members total around 3,500 from 60 countries around the world – including the likes of Boeing, Thales, ABB, Honda, Mercedes, BMW, US Army, US Navy, Royal Military College of Science, Rolls Royce, BP, Kuwait Oil Co, Shell, etc. What is RISKWISE™, what does it do and how? RISKWISE™ is risk-based inspection/maintenance (RBI) planning software that has become accepted by legislative bodies as a means of risk management consistent with safety requirements. It has been driven by regulators as well as the economic needs of plant operators/owners. The application of RBI software minimises the risk of failures or forced outages. It also enables intervals between inspection/maintenance to be optimised (often extended) and inspection/overhaul resources to be risk focused during outages. The overall economic benefit to operators is to reduce plant downtime. Guidelines and standards for RBI have been produced by ASME (American Society of Mechanical Engineers) and other bodies over recent years. RISKWISE™ is fully compliant with current RBI standards. It is assumed that the design availability is 100%, and the agreed minimum availability by TWI was set at 80% with a breakeven percentage calculated at 66%, then our solution would involve Maintained Availability™ taking a mezzanine slice of risk from 66% to an agreed lower limit. This means that the project sponsor takes a first loss above 66% and the M.A take the risk that the plant meets availability of between 66% and the lower limit (this being the percentage level of the design availability below which the plant is considered uneconomic). Speeding up the funding process – connecting vetted projects with the right investment partner. Allied are currently looking at the creation of an online project finance platform. The platform will match the requirements of Allied’s clients including those after Allied’s due-diligence process who have Maintained Availability. 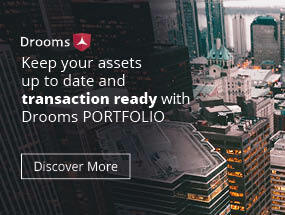 The platform will speed up connecting clients with the right capital, and investors with access to mid-market projects which can offer with attractive returns which currently would be rejected or considered not worth assessing if they have limited track record. “Members of the Allied team, have worked for over 10 years to bring this product to the market. When it was first conceived we believed then, that this product had a place in the market, to support innovation and promote technologies that can make a difference to the environment. Today 10 years later, the importance to support innovative technologies and the renewable energy markets are even greater.” – Roger Willmott, Business Development Director. Fidelis Insurance Holdings Limited is a privately-owned Bermuda-based holding company, which, through its wholly-owned subsidiaries, is a global provider of bespoke and specialty insurance and reinsurance products. Fidelis’ Bermudian platform focuses on catastrophe reinsurance, whereas Fidelis Underwriting Limited – the group’s London platform – focuses on the design and execution of large bespoke deals in areas such as: Aviation Finance, Forestry, Mortgage Indemnity, Political Risks, Structured Credit, Title and Surety, and in more traditional specialty, catastrophe reinsurance, and niche products via its MGA platform, Pine Walk. Fidelis is rated A- (Excellent) by A.M. Best Company, Inc. Additional information regarding Fidelis may be found at www.fidelisinsurance.com. “Designing and delivering new innovative bespoke insurance products is a cornerstone of Fidelis’ business model. As such we are very excited about the launch of this insurance product within the Maintained Availability process –assisting the development of sustainable and green energy.” – Richard Coulson, FUL Chief Underwriting Officer.